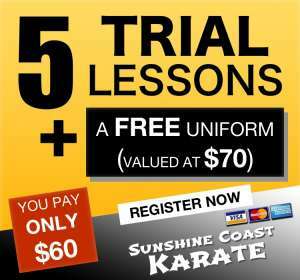 Soke Cup Squad Training… Are You Ready? Every 3 years, the top competitors in Chito-Ryu world get together for the Chito-Ryu World Championships, also known as the Soke Cup. 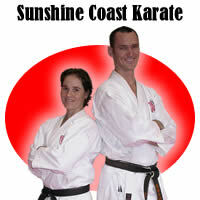 Since Chito-Ryu was introduced to the Sunshine Coast in 2000, our dojo has been represented at each Soke Cup. In 2001, Sensei Sandra was the sole representative, who went to Japan, placing 2nd in the Black Belt Women’s Kumite division. In 2004, the Soke Cup was in Australia and the Sunshine Coast dojo was well represented with 17 competitors, coming away with 4 gold medallists, most of whom had only been training for a few years. In the lead up to the 2007 Soke Cup in Norway, Sensei Sandra took on the role of coach for the national team, but due to the birth of Steven about a week before the tournament, Sensei Martin and Sensei Sandra did not attend, but there were still 3 representatives from the Sunshine Coast, with best result being 3rd place in Kata from Sempai Rhys in his age division. For anyone interested, a full listing of results from Sunshine Coast members is available on the website.